James Bass is an American pop singer, actor, film and television producer, and author. He grew up in Mississippi and rose to fame as the bass singer for the American pop boy band 'N Sync. 'N Sync's success led Bass to work in film and television. In July 2006, Bass revealed that he is gay in a cover story for People magazine. He was awarded the Human Rights Campaign Visibility Award in October 2006, and released an autobiography, Out of Sync, in October 2007, which debuted on The New York Times Best Seller list. 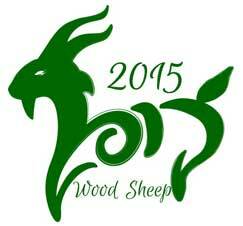 Born May 4, 1979, his primary personality traits are ruled by the Chinese Zodiac elemental animal, the Earth Sheep. Being in touch with the good Earth grounds the already stable Sheep. Although like any Sheep he must deal with occasional temporary loss of self-confidence, the Earth in this year gives him a more solid base. Earth grounding makes family especially important for him, and a happy family life is essential to his well being.